What's a prominent holiday without it's prominent dishes? As most of Philippines' observed and celebrated holidays, New Year boot its' own traditional dishes. Lucky me, I learned how to cook it and pretty well too. A great asset that I can continuously enjoy now that I'm in the US, not to say, pass it on to my own child and share it with the rest of my little familia. It also eases my occasional nostalgia every year! 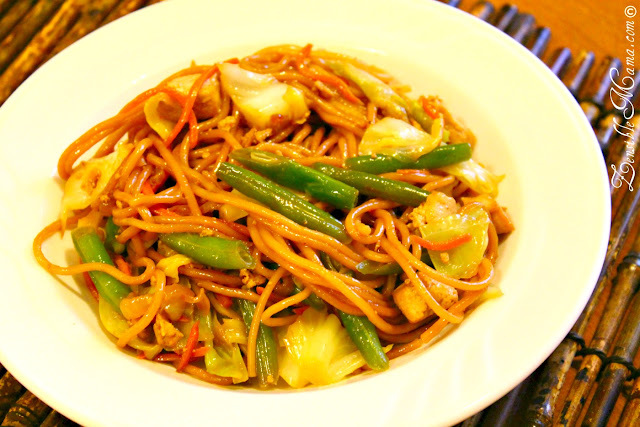 1- Pancit (see picture above): This noodle dish is usually made with mung bean or rice noodles and signifies long life. A symbolic dish that is appropriately served to welcome the New year or prepared during someone's birthday. As it is, cutting up the strand is unlucky. My version: I used thick ramen noodles on my vegetarian dish which sometimes is used to substitute the usual noodles and topped it off with Tofu, cabbage, green beans and carrots. 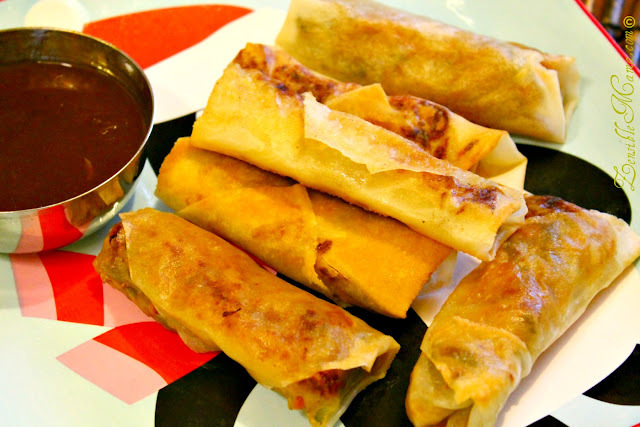 2- Lumpia (vegetable spring roll) - The vegetable version is a lesser-known version of Filipino Lumpia in the US. The Lumpia Shanghai (meat version) is what a lot of people seem to favor here and know more of. But the veggie version is the traditional dish among the two. My version: We love our veggies so I opted for the Lumpia (vegetable) partnered with my own original garlic sauce recipe and Chili sauce for dips. 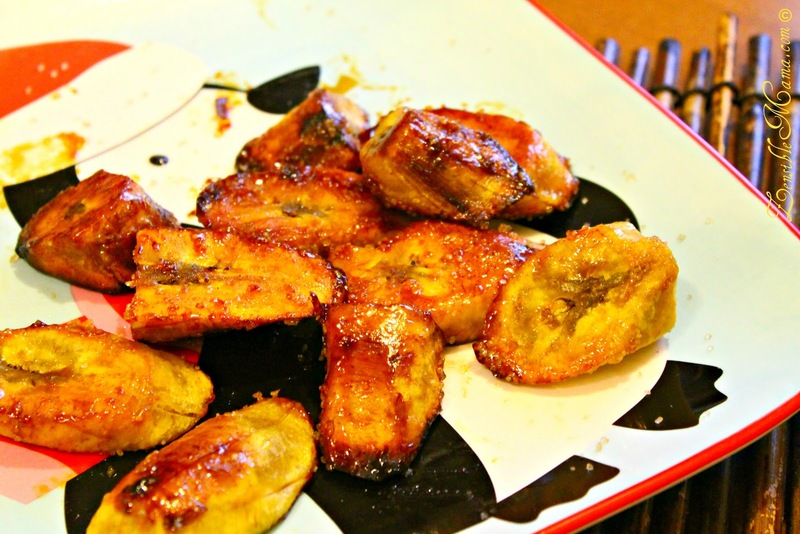 3- Turon (Banana fritters) - This is a traditional snack or dessert. It's made with plantain coated with brown sugar and traditionally wrapped and fried just like Lumpia. My version: This is a family favorite. I opted to cook this dish without the wrapper since we already have the Lumpia. It's also yummier being able to dig your palate straight to the banana and the sweetness of the caramelized sugar coating it. Are you from another country? Do you have traditional dishes for New Year? Hah! Me cook? I leave that to the hubby! These look delicious. I wish I know how to cook Filipino food. I wish I know how to cook! Cooking is just not one of my have things to do.